Kristen Windmuller-Luna joined us as Sills Family Consulting Curator, African Arts in April 2018. She is also currently a lecturer in the Department of Art History and Archaeology at Columbia University. Previously, she was Sylvan C. Coleman and Pam Coleman Fellow at the Metropolitan Museum of Art and worked at the Neuberger Museum of Art. As Mellon Collections Research Specialist (African Arts) at Princeton University Art Museum, she curated Changing the Conversation: African Interventions (2018). She also curated Life in Miniature: Asante Goldweights and African Sculpture from the Collection of the Renee and Chaim Gross Foundation (2012). She appeared in the 2017 PBS series Africa’s Great Civilizations and lectures on African arts regularly at the Met. 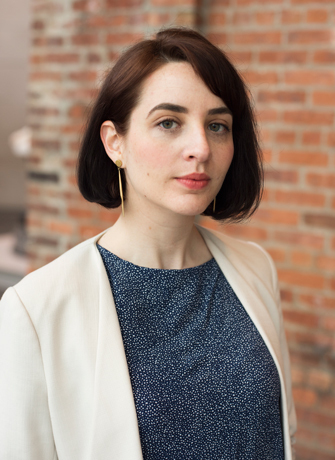 Kristen’s research has been published in Nka: Journal of Contemporary African Art, the Journal of Jesuit Studies, Journal 18: a journal of eighteenth-century art and culture, and The Heilbrunn Timeline of Art History. She contributed to the catalogue for Kongo: Power and Majesty and the global African arts collections catalogue of the Newark Museum. She is currently working on a book titled Seeing Faith: The Art and Architecture of Early Modern Christian Ethiopia. She received her Ph.D. and M.A. in Art and Archaeology from Princeton University and her B.A. in the History of Art from Yale University, and is a member of the Arts Council of the African Studies Association (ACASA) and the Association of Art Museum Curators.